October 4, 2009 By Tiffany Leave a Comment By clicking on our links, we might make a SMALL commission - Thanks for the support! See our full DISCLOSURE here. Target’s coupon policy in now available to view online here! Print one and keep it with you! Final cost $4.32 per tote! Final cost as low as $0.44 each! **Buy 3 and submit for the $5 SC Johnson rebate. Final cost FREE + a $3.68 moneymaker! 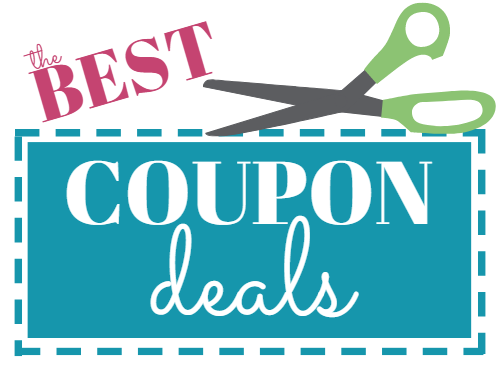 Use the $3/1 coupon from the 10/4SS or from the Aug. issue of All You mag. Thanks, Hip to Save for the match-ups! Winner of the Vaseline Lotion! October 4, 2009 By Tiffany 5 Comments By clicking on our links, we might make a SMALL commission - Thanks for the support! See our full DISCLOSURE here. I was running out of battery, and the camera is only working on and off, so I had to hurry! Yes, I just realized that the baby is in only a diaper. Hey, it’s Sunday morning, struggling a little to get going…. My fav lotion right now is Bath & Body Works Warm vanilla sugar….yummy! October 4, 2009 By Tiffany 2 Comments By clicking on our links, we might make a SMALL commission - Thanks for the support! See our full DISCLOSURE here. I made these the other night for the coupon class. I thought they were really good! Thanks, Katie D. and Snbjork for the comment and the recipe! October 4, 2009 By Tiffany 1 Comment By clicking on our links, we might make a SMALL commission - Thanks for the support! See our full DISCLOSURE here. Thanks to Kimber and Suzanne for hanging out at CVS with me tonight! Good times… Suzanne scored big time with about $120 in products, she paid $41 out of pocket ( she used gift card to pay for this from transferring RX)and left with exactly $40 in ECB’s for next week! New to CVS, watch my video HERE on how to make a transaction. You can also listen to my radio broadcastHERE explaining how to shop at CVS. #1 Transaction on Paul’s card. Total $8.36 Got back $5 for St. Ives, $2 Pantene, $2 Colgate, $2 Head and Shoulders, $1 Dial. So I spent $12.00 out of my pocket and got back $16 in ECB’s for next week. October 3, 2009 By Tiffany 1 Comment By clicking on our links, we might make a SMALL commission - Thanks for the support! See our full DISCLOSURE here. The $10 off coupon has been reset! 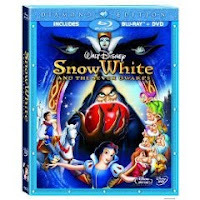 The Diamond Edition of Snow White is being released on October 6th! Walmart will have it priced at just $19.96 or less. Use this $10 off coupon here (IE) or here (FF) to get your copy for less than $10! 24 Hour Giveaway, 3 bottles of Vaseline Sheer Infusion Lotion! October 3, 2009 By Tiffany 134 Comments By clicking on our links, we might make a SMALL commission - Thanks for the support! See our full DISCLOSURE here. When the nice people at Vaseline asked me to review the new Vaseline Sheer Infusion I was all over it! I knew we had some deals coming up at the drugstores to get some free bottles of this but I wanted to try all the different scents. The people at Vaseline promise “Superior moisture across all layers of skin” because it contains “Stratys-3” which, according to the Vaseline website, is composed of “three powerful ingredients that infuse and suspend moisture across all layers of skin–the top, the core, and deep down.” They really deliver! I have fallen in love with this lotion. It does not feel greasy when I put it on and it actually feels like it is being deeply absorbed down into my skin, kinda cool. It also lasts for a long time, even after I wash my hands they still feel like I have just applied the lotion, in a good way. This lotion comes in three different formulas and fragrances: “Botanical Bliss”, “Vitamin Burst” and “Mineral Renewal” I like the Botanical Bliss, but all the scents are really nice and mellow. Not over powering. If you would like to win THREE bottles, one of each scent from Vaseline, leave a comment with your name and you favorite current lotion! The kids will draw a winner tomorrow about lunch time! CVS deal ideas for October 4th. October 3, 2009 By Tiffany Leave a Comment By clicking on our links, we might make a SMALL commission - Thanks for the support! See our full DISCLOSURE here. Here are a few idea’s to get you going at CVS this week. New to CVS, watch my video HERE on how to make a transaction. You can also listen to my radio broadcast HERE explaining how to shop at CVS. Final cost $0.99 per item! **Add $5 more in FREE items from other CVS weekly deals and you’ll be able to use the $5 off $25. Final cost will be all FREE! Final cost $1.83 per item! **Add $5 more in FREE CVS items and use the $5 off $25 coupon. Final cost will be just $0.50 total! You need to start small. Please don’t jump in and go crazy or you will spend a lot of money! Want to disregard the warning and go big? New to CVS? Watch my video HERE on how to make a transaction. You can also listen to my radio broadcastHERE explaining how to shop at CVS. 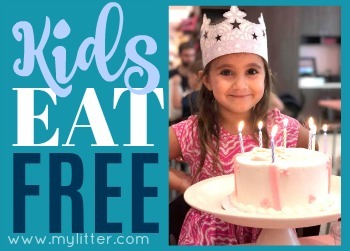 Final Price – FREE! Plus $.12 cent MM! October 2, 2009 By Tiffany Leave a Comment By clicking on our links, we might make a SMALL commission - Thanks for the support! See our full DISCLOSURE here. 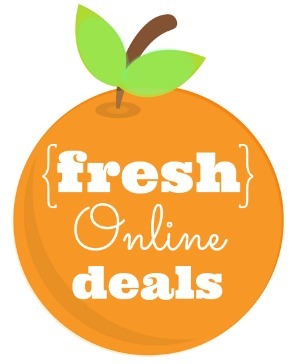 There’s $10 in new laundry care coupons available here! 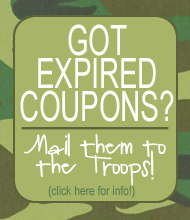 The best part–these are PDF coupons and don’t start expiring until 3/01/2010! Match-up prices for toy coupons from earlier post! October 2, 2009 By Tiffany 5 Comments By clicking on our links, we might make a SMALL commission - Thanks for the support! See our full DISCLOSURE here.
! This is what they found. Prices of course may very by region. Thank you Beth for adding these!